Multi-party emergency communications. Fast incident response. 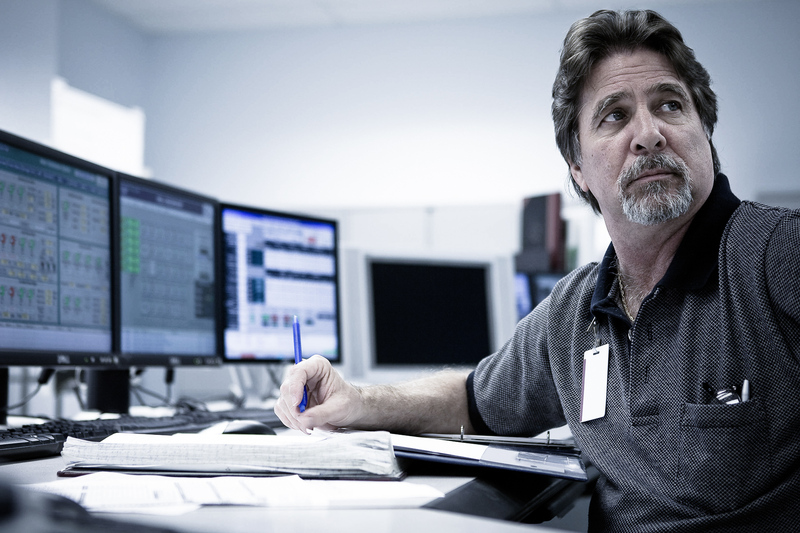 The Control Room (Command Post or Network Operations Centre) serves as the ‘nerve centre’ gathering information, directing people and resources. Speakerbus’ Command Console can be deployed to respond to any incident, operations order or emergency plan, across a wide range of industry verticals. 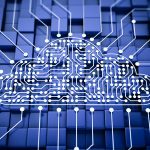 The solution leverages existing Cisco, Avaya and Mitel unified communications platforms and ‘bridges’ satellite, radios, mobiles and fixed line networks, enabling disparate individuals to collaborate with operators at a command centre in an instant. 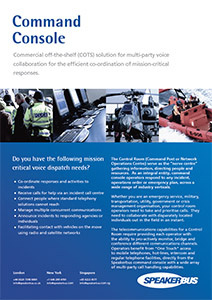 Critical control room solution – bridges a range of communications methods for multi-party emergency response co-ordination.